​​Cat flea spray is fast acting. ​It is very useful when an infestation is noticed and you want to take action immediately for the cat’s comfort. It typically may be a product that you use in conjunction with other flea products however many cat owners are happy with the results of a flea spray and choose a spray in favor of other methods of flea eradication. Whatever your choice, it is a useful product to have waiting in the wings when fleas are suddenly noticed and that is indeed, what often does happen. A spray does work quickly and effectively, so if you want those fleas gone now, it is a good choice. Is Cat Flea Spray Better Than Drops? Why Use Flea Spray For Cats? A cat flea spray will work immediately so if you are about to venture into flea territory and your cat has no other flea protection a flea spray is a quick way to ensure protection. Sprays can also be used as an addition to normal flea treatment if you notice that fleas are persisting with other treatments. Sprays are easy to apply - I hope the kitty is reading this! 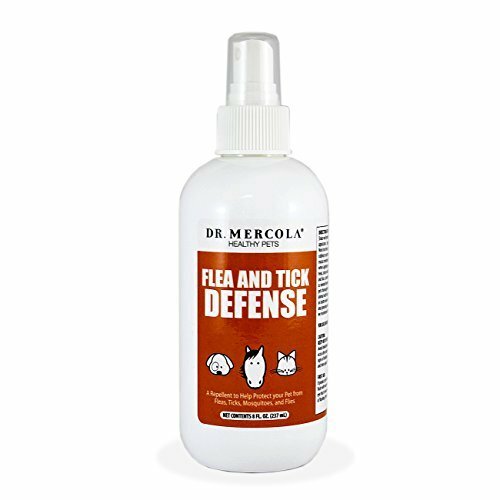 Cat flea spray is another choice in the arsenal of flea products available to cat owners. A spray will give a fast and quick relief for your scratching cat. You will need to keep applying the spray whenever you see fleas and that could be daily. Flea Drops give protection for a month at a time so the drops last longer, there is no question about that. 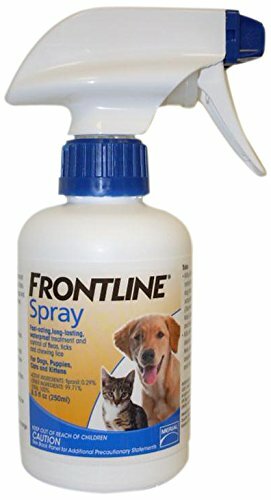 The spray however is the perfect convenience product to have at hand in the event that you notice your cat has fleas and you want to take immediate action. Drops work exceptionally well and they only need to be applied once a month as stated above. The spray can be a good complementary treatment for the drops although many cat owners only use spray or powder or shampoo. It is all about what works best for your kitty. Spray the product onto the glove and rub the product into your cat’s fur around the head area, taking care to avoid the eye area. Alternatively spray the product onto a washcloth or cotton ball and apply. Fluff up or ruffle the coat when applying the spray to other parts of the body. It may help to have another person holding the cat if the cat is not used to spray being applied as it can be difficult to both control the cat and apply the spray. Make sure the entire body is covered and that the fur should be fairly wet. Watch the video below for further instructions. The spray kills flea eggs, adult fleas, flea larvae and ticks. It gives quick relief from fleas. It breaks the life cycle of fleas for up to two months. If you live in a mosquito prone area a bonus is that this product will also repel mosquitos. To use – spray into small container, dip fingertips or gloved hands into the product and gently apply to the cat’s fur or apply to a face cloth and rub into cat’s fur. This makes it easier to apply to face area. The spray can also be applied to a brush or comb which is a bonus for long haired cats. It can be used for cats and dogs, so this is a double use product. It is easy to apply, for example before the cat goes outside and it works in a hot and humid climate. It has a strong smell initially which dissipates but be prepared. Can make cat’s fur greasy, (although this is a negative the fact that the product worked actually made the greasiness a lesser issue). This product is a natural formula, is plant based and safe to use around children. It is non-staining. Kills fleas, flea eggs and ticks by contact. Can be sprayed directly on cats older than 12 weeks. It hasn’t got an overpowering smell although there is a smell of cloves and peppermint at first. Some cats don’t like being sprayed – try spraying product onto washcloth and rubbing into fur, rather than spraying directly on the cat. It does not kill flea eggs, other than by direct contact- more suited to flea maintenance. It is suitable for cats and dogs. Cats must be at least over 8 weeks old however read the packaging instructions as some Frontline products can be used on kittens. It kills fleas and ticks and helps to prevent reinfestation. The pump has two settings, a mist spray or a stream and it can be applied directly to pets. It can be used as a spot spray on ticks. Handy Tip – Place a plastic bag over hand when applying the product. When removing turn inside out and dispose of fleas and bag. Long or dense coats might require more product. This spray is 100% natural ingredients and has a nice scent. It kills and repels flea and ticks and is made in USA. It can be used around the home however do a color fast test first. The ingredients are a blend of pure peppermint, clove, cinnamon, and cedar oils. It can be used on dogs and cats. If you are venturing deep into the woods this formula may not be enough to deter ticks. This product does triple duty, safe for cats, dogs and horses. It contains no harsh chemicals. It contains a blend of lemongrass, cinnamon, sesame and castor oils. Not only safe for pets but also other members of the family as there are no harsh chemicals. Very good alternative to chemical based products particularly if your cat has reactions to the chemicals in some products. 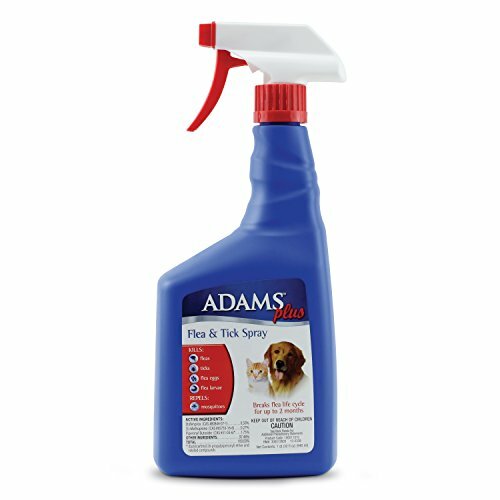 We recommend Adams Plus for fast acting results and because it kills flea eggs, adult fleas, flea larvae and ticks. It gives quick relief from fleas and breaks the life cycle of fleas for up to two months. It will also repel mosquitos. If you are particularly wanting a natural alternative to use for your kitty, Vet's Best and Dr Mercola also perform very well and have an established reputation for quality products.